Also known as the Neodeau Mastiff, the Ultimate Mastiff combines the robust features of a Dogue de Bordeaux with the large size of a Neapolitan Mastiff. Both parent breeds contribute to the health issues of the Ultimate Mastiff. There are a few serious conditions, but overall these gentle giants are healthy dogs. 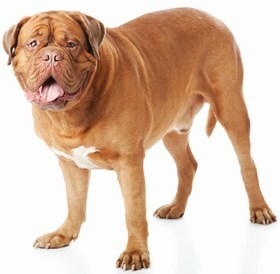 This condition is a birth defect, passed down from the Dogue de Bordeaux. Puppies born with this condition will have an opening between their nose and mouth where the tissues failed to grow together. If left untreated, this condition could cause breathing and eating problems in the future. A vet will suggest surgery to mend the tissue and close the opening. Described as microscopic mites, the Ultimate Mastiff is prone to this condition because of their natural skin folds. Mites are attracted to folds that gather sweat and grime. The symptoms of this condition are red, itchy rings in the skin, bald patches, excessive scratching, and loss of appetite. If your pup experiences any of these symptoms, visit a vet immediately for a medication prescription and a special, mite-killing shampoo. If your Ultimate Mastiff takes after the Neapolitan Mastiff side of their genetics, he will probably have tons of skin folds. 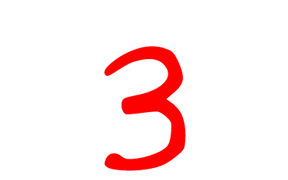 Dermatitis is a regular occurrence because the folds sweat and catch dirt and debris. To prevent this condition, wipe out your dog’s skin folds daily and diligently. 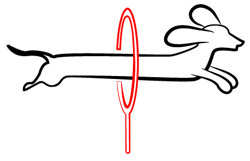 Keep the folds clean to avoid worsening skin infections, hair loss, and severe irritation. Other health issues that your Ultimate Mastiff might face include cataracts, glaucoma, ear infections, joint dysplasia, and heart arrhythmia. Routine vet visits, a stable diet, and regular exercise will help your pup live for 9-12 years. 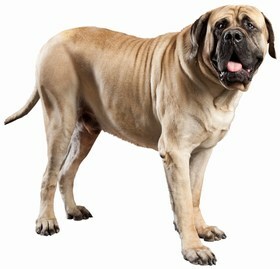 The Ultimate Mastiff is usually a laid-back, sweet, and friendly dog with an affectionate side. They love their families and get along well with both children and other dogs. 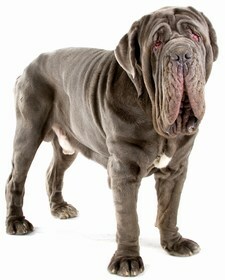 However, thanks to the Neapolitan Mastiff, the Ultimate Mastiff has a stubborn, independent streak. He will try to test his boundaries if left to his own devices, so keep him happy with regular activities and playtimes. These big dogs can be intimidating at first glance, but they are gentle most of the time. If an Ultimate Mastiff feels threatened, they will give plenty of warning growls because they rarely want to bite. They are fiercely protective their family, especially children who they have grown up with. While cheery and sweet, the Ultimate Mastiff can be difficult to train. His headstrong demeanor comes out full strength if he thinks he can get away with it. To properly train your Ultimate Mastiff, socialize him early and use simple, clear commands to get him used to following instructions. You have to let him know that you are the leader of your pack; the dominant one. If he tries to challenge your leadership with stubbornness, stand your ground and stick with his training. Never leave an Ultimate Mastiff untrained because they can become destructive. The Ultimate Mastiff is a very active dog as a puppy, but that lessens to moderately active when they reach 4-5 years old. Take your pup on regular walks at least twice a day and have regular playtimes, both indoors and outdoors, to keep his mind occupied and his body healthy. Ultimate Mastiffs have silky, short hair but in a double coat that makes them intolerant to extreme heat. They shed regularly and quite a lot in the summertime. Brush him 3-4 times a week, especially in hot weather, to keep shedding at a minimum. Because of his extra-large size, the Ultimate Mastiff can be difficult to bathe in a regular bathtub. Opt for washing him outdoors in hot weather. Or, take him to a groomer for professional baths. You should use gentle, sensitive dog shampoo to avoid stripping his skin of essential oils. These gentle giants are prone to ear infections, so clean his ears regularly with a cotton ball and vet-prescribed cleaning solution. Clean the outside rims of his ears. Avoid sticking swabs into his ear canals. Brush his teeth 2-3 times weekly. Trim or file his nails bi-weekly. Ultimate Mastiffs have hulking appetites that are satisfied with 6 cups of dry dog food, separated into two meals. Opt for high-quality kibble without preservatives, fillers, and by-products. Good, high-quality kibble, while expensive, will help your Ultimate Mastiff maintain an appropriate weight and overall good health. Invest in dog food brands that use whole foods in their kibble. These crossbreeds are prone to becoming overweight, so use treats sparingly. Meaty, hearty treats are ideal for rewarding good behavior during training, but be careful of overfeeding your Ultimate Mastiff. Looking for an Ultimate Mastiff? The Ultimate Mastiff is a rare crossbreed that pet owners usually keep once they adopt them. However, check shelters first to make sure you’re not missing out on an Ultimate Mastiff that needs a home. Adoption fees are around $450, including vaccinations, blood tests, and an initial health check. 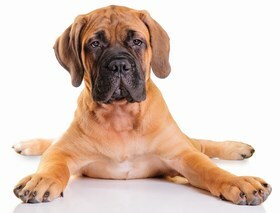 If you are investing in an Ultimate Mastiff from a breeder, expect puppies to run upwards of $1,200. Adults are cheaper, between $450-600, depending on their gender and appearance. Usually, if a breeder thinks their pup will be a good breeding dog, they up the price to reflect good genetics. Ranking takes into account a few basic factors including cost, skill level needed, high vs low maintenance and how critical regular training is to success. The Ultimate Mastiff ranks a 3 on the Paws ‘N’ Pups integration scale. On the positive sides, they are friendly, gentle, and make great family dogs. On the negative sides, they are challenging to train, have some possible health issues, and can be expensive to upkeep. If you have the time, patience, determination, and love to offer to an Ultimate Mastiff, integration into your life will be an easier process for both you and your pup.